I was heading back to the embroidery floss area in my local Michaels when this sign caught my eye. There is a bin with 7 inch x 9 inch rectangles that people have made for Warm Up America.Next week after Christmas is over, I plan on grabbing some yarn and getting to work making some squares. Last year I got The Knitting Book and I’ve pinned a ton of different crochet stitches I’ve wanted to play around with. This seems like a perfect opportunity to experiment and learn some new knit and crochet stitches while also helping out a great cause! 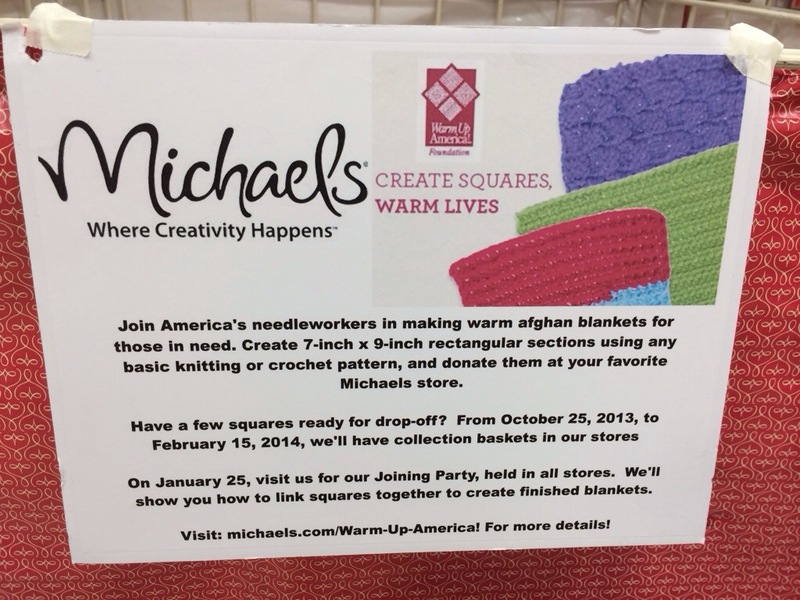 Has anyone made any squares for the Michaels Warm Up America campaign or any other charity events like this?